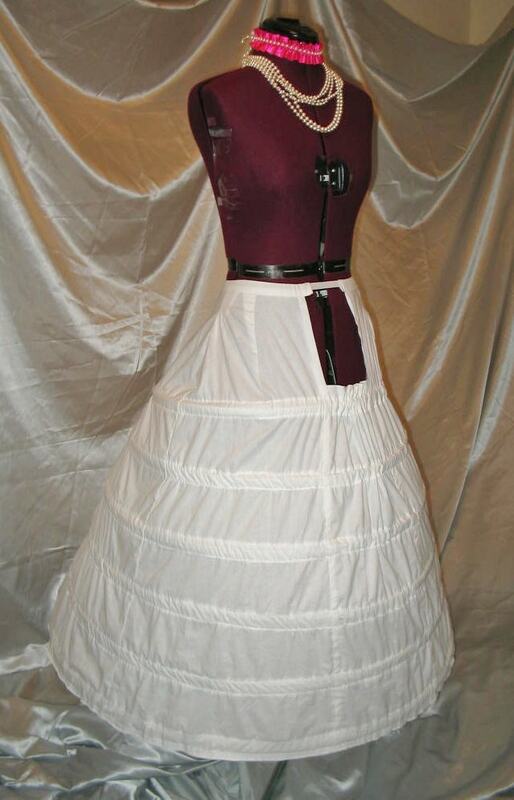 Ready to ship in 2 to 3 weeks, the elliptical cage crinoline must be made to fit your size. 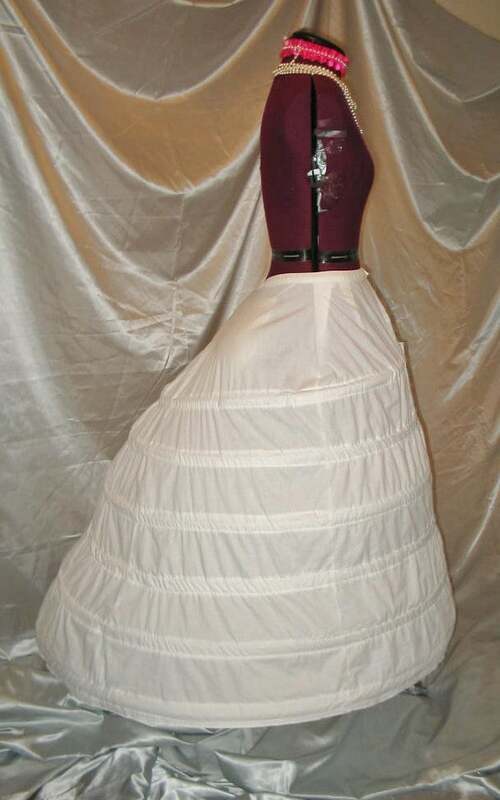 The elliptical cage crinoline fits close to the body in front, but projects out at the back very dramatically. The back pushes out the dress trains. This feature keeps the trains from looking flat and dramatizes the trains. 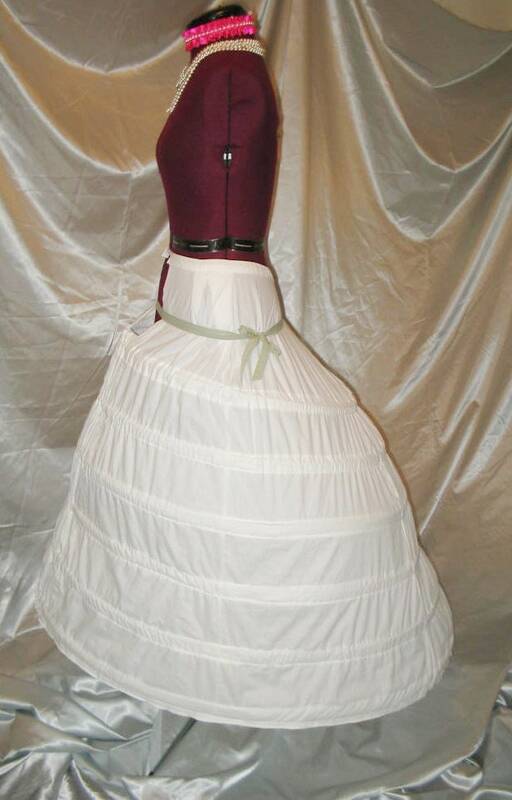 The cage crinoline is ideal for Victorian dresses and gowns with trains. It also works exceptionally well with todays bridal gown trains. In the last picture, you will see a ribbon tied around the hip area of the dress form. 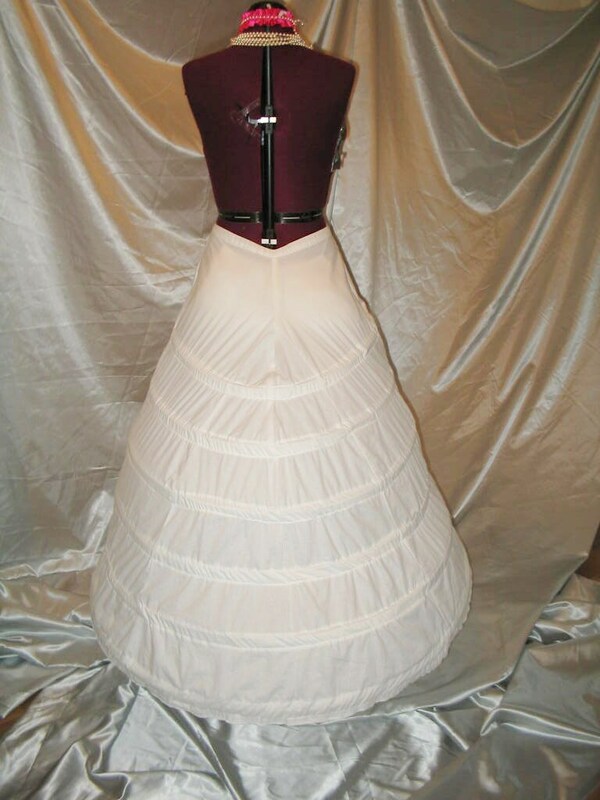 This shows you how the long waisted bridals and formals can easily be worn over the cage crinoline. 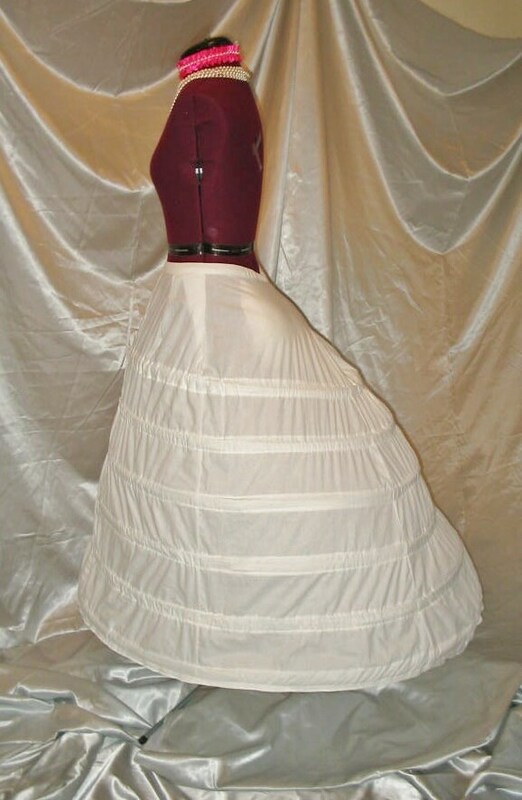 the cage crinoline is adjustable, and the hoops can be pulled in to a smaller size. The cage can be made in white, black, or ivory cotton. Half inch hoop steel is used to frame the cage. I will need your waist ans height to make the cage for a good fit. If your dress is already made, I will need your dress dimensions also. Please convo me with your questions. Need a rush order? Convo me first to discuss your time frame... and I will do my very best to work with you. I ship USA and worldwide. Thanks for looking and for shopping.